The Pearl at Jamestown is a 48-unit/50-bed, 33,100 square foot, stand-alone memory care community located at 14443 Perkins Road in Baton Rouge, Louisiana. The community is on a 2.81-acre site with the unit mix consisting of 46 private suites and two companion suites. The Southern Acadian style building was designed to complement local architecture in the Baton Rouge area. 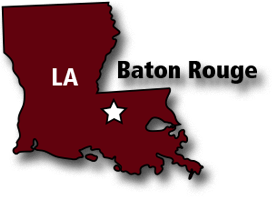 The community is in the southeast portion of Baton Rouge, a city that is roughly 75 miles northwest of New Orleans. The local neighborhood is an affluent suburban community with one of the highest median incomes in all of metro Baton Rouge. The community was completed in December 2016, filled to stabilized occupancy in less than one year, and was subsequently sold to a REIT. The Pearl at Five Forks is 48-unit/50-bed, 33,157 square foot, stand-alone memory care community located at 15 Five Forks Road in Simpsonville, South Carolina, a suburb of Greenville. The community is on a 3.53-acre site with the unit mix consisting of 46 private suites and two companion suites. The building was designed to complement local architecture in the immediate area of Simpsonville, and is about 1½ miles east of I-385 and about 3½ miles south of I-85 in a growing and affluent area of Greenville County. The community was completed in 2017 and was undergoing a successful fill-up when it was sold to a REIT. 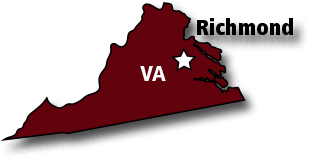 The Pearl at Watkins Centre is a 48-unit/50-bed, 33,145 square foot, stand-alone memory care community that is located at 650 Watkins Centre Parkway in Midlothian, Virginia, a suburb of Richmond. The community is on a 4.29-acre site with the unit mix consisting of 46 private suites and two companion suites. The building was designed to complement local architecture in the immediate area of Midlothian, and is about 15 miles west of downtown Richmond in a growing and affluent part of the metro area. The community was completed in September 2018 and is currently undergoing lease up.